Tequila has earned a notorious reputation as the preferred liquor for rowdy spring-breakers in Mexico. But that doesn't begin to do justice to the country's trademark beverage. Premium tequilas — which are made from 100% pure agave — are more akin to a good cognac. They are for sipping and savoring, rather than slamming back shooter after shooter. Connoisseurs don't use a pinch of salt or a slice of lime, either. Save that for the harsher tequilas, which are known as "young" (joven in Spanish). Young tequilas are made from 51 per cent agave. The remainder could come from sugar cane or other sources. And they often include additives to enhance the amber color and the odor of the drink. High-end, pure tequilas may be clear or amber. Their depth of color depends on the length of time they spend in wooden barrels. Choosing clear or amber comes down to personal preference. "It's all a matter of taste," says Sergio Partida from Tres Mujeres Tequila, a Mexican distillery. 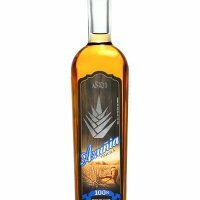 "There are many who don't want anything to do with aged tequila [known as añejo]. They simply like clear tequila [known as blanco]. They don't want anything to do with color, smell or flavor of wood. They just want the clear version — with the characteristics of the original 100 per cent agave tequila." Partida says the aged tequila is very flavorful, but he still prefers the clear tequila. So does Rogelio Luna Zamora. He's an expert in both the tequila industry and a connoisseur of the final product. The University of Guadalajara professor says there are proper ways to appreciate good tequila, whether it's clear or amber. "The first thing to do is use a round glass, like a cognac snifter or even bigger," Luna says. "That oxygenates the tequila. So you get all the various aromas. You use the right nostril to smell the tequila, because that side of the brain is more sensitive to odors. After inhaling, you take a first sip, to determine the tequila's distinct flavors. Cocoa, vanilla and tobacco, for example." Luna says every brand has a different taste. He likens the distiller to a chef with a secret recipe. The flavor of tequila also depends on the soil the agave plant is grown in and when the plant was harvested. "The plant's maturity is what gives a tequila its soul," he says. "So each batch of the same tequila brand may taste a little different, even though the chef is using the same 'recipe.' "
Luna gives the distiller the most credit, however. "The tequila makers are going to kill me," Luna says, "but a good 'chef' can make a good tequila that is only 51 per cent agave. It's a myth that 100 per cent pure tequila is always better. That's not necessarily true in all cases. It depends on who's making the tequila." When it comes to high-end tequila, it doesn't come much more exclusively and expensively than Jose Cuervo's Family Reserve. The limited edition liquor will set you back about $200 a bottle. It's aged in the cool and dark "tequila cellar" at Cuervo's huge distillery operation in the town of Tequila in the Mexican state of Jalisco. Surrounded by oak barrels stacked to the ceiling, Cuervo employee Jessica Turon explains how to truly enjoy the refined taste. At the price of this tequila, you want to get your money's worth. "They say to really appreciate this tequila, you have to use your five senses," she says, "starting with observing the color." Like Luna, she pours the tequila into a large snifter. However, Turon says a new tequila glass has just been designed by tequila masters. It's more like a champagne flute. "This glass of tequila is an amber color. You will see some gold, red and copper lights in the liquid. Then you swirl the glass and you will see what we call the body. The body is the film that's left on the inside of the glass after you swirl the tequila around. And the lines cascading down are called legs, or tears," Turon says. "They say the extra aged [extra añejo] tequila has the best body, because it adheres to the glass. If you compare an extra aged tequila to a clear tequila, the clear one is almost like water. It doesn't stick to the glass. That's because aged tequila gets glycerine from the barrel it sits in. It's like an oil. The consistency of this tequila is really oily." Next, Turon says, you have to smell the tequila from three different spots in the glass. First the low side — that's the inside of the rim that is closest to you. Then the center. Then the high side — that's the inside of the rim that is at the top of the glass. "From the low side," Turon says, "tequila has a strong smell of alcohol. In the center, it's sweeter. You get to smell the fruits, the spices, the honey, vanilla or chocolate that may have been used to cure the barrel. But the high side of the glass is the best spot to smell tequila. Because you barely smell the alcohol. You will smell the oak of the barrel instead." "To really taste this tequila, you take a sip and wash your mouth with it," she says. "So your tongue gets accustomed to the flavour. Then the second sip, you have to keep the tequila in your mouth for 5 or 6 seconds. That way the tequila gets oxygenated. So you can appreciate more of its flavour. And before swallowing, you have to exhale through your nose. That way it doesn't burn your throat." Premium tequilas don't burn your throat. Nor do they give you much of a hangover the next day. And their increasing prominence on the world's liquor shelves is putting tequila's notorious reputation to rest — one smooth sip at a time.